Dogfish Head Craft Brewery and public radio’s VoiceBox team up for another unforgettable global journey through the shared cultural history of ale and song. Unique event affords beer lovers and vocal music fans an unrivaled opportunity to sample six artisanal Dogfish Head India Pale Ales (IPAs), hear songs associated with the selected brews performed by The Fill A Steins men’s vocal ensemble and participate in a discussion about the link between IPAs, a style of beer with a rich globe-trotting history, and song. Featuring certified cicerone Sayre Piotrkowksi (St. Vincent), the event will be recorded for broadcast on public radio and podcast. One Night Only: May 29 at 50 Mason Social House, 50 Mason Street, San Francisco. 8pm (doors open at 7.30pm.) VIP seating at 7pm. For tickets ($15 in advance; $20 on the door; $35 VIP), please click here. For information, please call (415) 608 0133. Please click here to visit our Facebook page and invite all your friends! SAN FRANCISCO (February 18, 2013) – Dogfish Head Craft Brewery and public Radio’s VoiceBox present an unforgettable, interactive exploration of the ancient global connection between singing and beer. DRINKING/SONGS: A NIGHT OF BEER AND THE MUSIC THAT GOES WITH IT affords beer lovers and vocal music fans an unrivaled opportunity to taste a range of artisanal Dogfish Head India Pale Ales (IPAs), hear songs associated with the selected brews performed by The Fill A Steins, a professional a cappella vocal ensemble, and participate in a live discussion about the deep connection between beer and singing featuring certified cicerone Sayre Piotrkowski (St. Vincent) which will be recorded and broadcast on public radio’s VoiceBox the following week (broadcast launch date: June 7). First brewed in England in the nineteenth century and known as “the beer that built the British Empire,” IPAs are closely associated with seafaring and global trade history. Popular at home, these strong, extra-hoppy beers quickly became a hit at sea and abroad when English brewers started shipping IPAs to colonialists on the subcontinent. The sailors and settlers who drank these beers created and sang songs in praise of IPAs. The event includes samplings of six Dogfish Head IPAs: 60 Minute (Dogfish Head’s best-selling beer), 90 Minute ("perhaps the best IPA in America" according to Esquire Magazine), Burton Baton (an oak-aged gentle giant), 75 Minute (a rare blend of two Dogfish Head favorites), India Brown Ale (A hybrid between a Scotch Ale, an India Pale Ale and an American Brown) and 61 Minute (an unusual brewpub exclusive infused with Syrah grape must). Upon entry, each audience member will receive a special Dogfish Head/VoiceBox tasting glass for their personal use, which they can take home afterwards as a memento of the event. VIP guests will additionally get to sample Rhizing Bines (a special recipe developed in collaboration with California’s own Sierra Nevada brewery) as well as enjoy other exclusive programming and ringside seats. The Fill A Steins, a group of professional vocalists whose performance credits include such local, national and internationally-recognized vocal ensembles as Chanticleer, Clerestory, American Bach Soloists and the Philharmonia Baroque Chorale, will perform a repertoire of rollicking IPA-centric drinking songs to go with each beer on the program. The evening’s musical offerings include stein-swinging shanties, lusty odes to ale, and the catchiest drinking songs that have ever been heard on the high seas. As the fun progresses and the beer flows, there will also be ample opportunities for audience members to join in with the singing. During the intermission, audience members will get to devise their own drinking songs at the touch of a button with the help of Smule, a Silicon Valley-based creator of innovative mobile music-making apps. Prizes will be awarded for the most stein-swinging creations. Throughout the evening, the musical numbers and beer tastings will be contextualized through a lively, on-stage discussion between renowned Bay Area cicerone Sayre Piotrkowski, member of The Fill A Steins, and Chloe Veltman, the host of VoiceBox, a weekly syndicated public radio and podcast series all about the art of the human voice and the best of the vocal music scene. Audience members will learn about the intimate link between drinking beer and singing songs. "Dogfish Head's penchant for exotic ingredients is well-known, but there is one old-world style we've embraced, tweaked and reinvented," said Sam Calagione, founder and president of Dogfish Head. "The India Pale Ale originated in the nineteenth century when English brewers learned that boosting the hops and barley in their pale ales made them more capable of making the long ocean journey to their thirsty troops in India. It probably made their sea shanties a little more lively, too. We're proud to be celebrating the overlap of the beer and music worlds with VoiceBox." 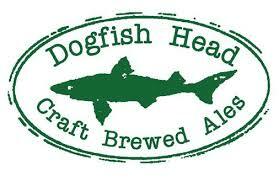 Dogfish Head Craft Brewery makes off-centered ales for off-centered people. Dogfish first opened as a brewpub in downtown Rehoboth Beach, Del., in June 1995, then opened a brewery in nearby Milton in 2002. Dogfish beers push the envelope of what beer is expected to be, often using non-standard ingredients such as raisins, chicory, maple syrup, vanilla and grapes. The company is also known for its Ancient Ales, which revive long-ago brewing traditions. Find out more at http://www.dogfish.com/. VoiceBox is a weekly syndicated public radio series about the art of the human voice and the best of the vocal music scene hosted by arts journalist and singer Chloe Veltman. Launched under the auspices of KALW 91.7 FM San Francisco in January 2010 and now available on several stations in California as well as a free podcast on iTunes, VoiceBox seeks to connect and contextualize the work of singers, songwriters and vocal music experts across myriad backgrounds and genres. By stimulating in-depth discussion about the voice, VoiceBox aims to encourage listeners to expand their musical horizons and participate in singing activities of their own. Find out more at http://www.voicebox-media.org/. Sayre Piotrkowski, the Beer Director at St. Vincent Tavern and Wine Merchant in San Francisco, was recently named “one of the country’s top beer sommeliers” by Eater.com. Prior to St. Vincent he served as Co-Beer Director and the public face of the Monk’s Kettle, which was on 7×7 Magazine’s San Francisco Best Beer List in each of the two years he held that position. Sayre has worked with several Top Chefs including David Myers, Russell Moore, Sarah Kirnon, Hoss Zare, and Chris Kronner and has collaborated with Duvel USA, Bar Crudo, Bar Tartine and the Palo Alto Cheese School. Sayre’s work has been featured on The Cooking Channel and mentioned in GQ and San Francisco Magazine. 50 Mason Social House is one of San Francisco’s newest music venues and a downtown destination for artisanal beers and wines. The space features live music by great local bands seven nights a week and a premium selection of limited edition and seasonal beers including California Sunshine Rye IPA by Devil's Canyon Brewing and Firestone Walker’s Velvet Merlin Oatmeal Stout. Find out more at http://50masonsocialhouse.com/. Dogfish Head Craft Brewery and public radio’s VoiceBox team up for an unforgettable global journey through the shared cultural history of ale and song. This unique collaboration features tastings of six boutique IPAs by Dogfish Head Craft Brewery, music by The Fill A Steins a cappella vocal ensemble, a live discussion recorded for radio and podcast between cicerone Sayre Piotrkowski, The Fill A Steins and VoiceBox host Chloe Veltman -- and audience participation. Wednesday May 29, 2013 at 8pm (doors open at 7.30pm.) VIP seating at 7pm. 50 Mason Social House, 50 Mason Street, San Francisco, CA. The venue is located within a five-minute walk of Powell BART and MUNI station as well as many buses and cable car lines. Ample lot and street parking nearby. Good job with the post. Thanks a lot for sharing this post with your readers.